The 2nd Life Guards was stationed at Regent’s Park, London when Britain declared war on Germany on 4 August 1914. The Regiment sent one squadron to join the Household Cavalry Composite Regiment which landed in France on 16 August 1914. This Regiment served with the 1st Cavalry Division before being broken up in November 1914 when the squadrons returned to their original units. The remainder of the 2nd Life Guards landed at Zeebrugge, Belgium on 8 October 1914 and a war diary is available so you can follow the Regiment’s movements. The 2nd Life Guards served as part of the 7th Cavalry Brigade, 3rd Cavalry Division until it was converted to a machine gun battalion in March 1918. The Regiment fought at the First Battle of Ypres in October and November 1914 where the 2nd Life Guards suffered its heaviest casualties of the war. Like over British cavalry regiments serving on the Western Front, the Regiment was often used in a dismounted role in the trenches though there were long periods of inactivity behind the lines. In March 1918, the Regiment was converted into the No.2 (2nd Life Guards) Battalion of the Guards Machine Gun Regiment and there is a separate war diary. The 2nd Life Guards returned to England in March 1919. I have written guides to First World War Medals, War Diaries, Interpreting photographs etc. which can be found here: Researching Soldiers who Served in the British Army. Officers: A service record is the most important document to find Some are held at the National Archives and I have a copying service for these files. Others will still be kept at the Household Cavalry Museum and you will have to apply for them. Unfortunately, you won’t be able to know what the Household Cavalry Museum holds on an officer until you receive a reply. It takes a month or so for any information to be sent and there is a non-refundable charge. I’d recommend applying to the archive even if there is a service record at the National Archives. 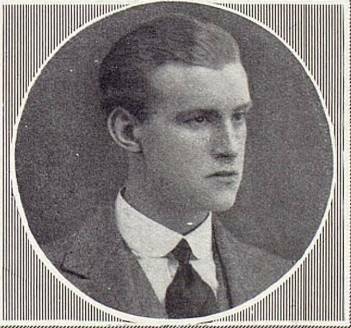 Second Lieutenant William Sinclair Petersen Royal Field Artillery attached 2nd Life Guards who was killed on 6 November 1914. This photograph appeared in The Sphere which is an excellent magazine to search for British officers who died in the First World War. Tatler and The Illustrated London News are also good newspapers to search for Life Guards officers. There is also a file for Petersen at the National Archives. At the National Archives’ if a soldier was discharged from the 2nd Life Guards between 1799 and 1920. These have been digitized and can be downloaded from the National Archives’s website for a small fee or viewed on FindmyPast which has a free trial. The catalogue reference is WO 400 and they can be searched here: Search 1st Life Guards Records at the National Archives. At the Household Cavalry Museum Archive which also holds 2nd Life Guard service records. The archive charges a fee of £25 and I would highly recommend applying for the service record as it will contain information you will not be able to find elsewhere. Notes: A good war diary which contains a few appendices including an interesting letter from a former officer (Menzies) describing the Regiment’s activities on the 30 October 1914 including two sketch maps. I have transcribed a few entries below. Unfortunately, no regimental history for the 2nd Life Guards covering the First World War period was produced. However, the Regiment was covered in The Story of the Household Cavalry: Volume 3 by Sir George Arthur, Bart., assisted by Capt. Shennan Royal Horse Guards. This volume hasn’t been reprinted and can be quite difficult to obtain. I looked at a copy at the British Library. The Imperial War Museum holds a manuscript written by Stanley E Butler who served with the Regiment between 1915 and 1918: Documents.1878. 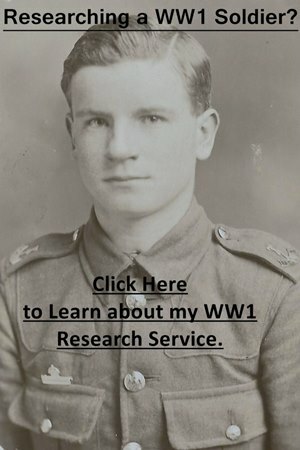 Are you researching a soldier who served in the 2nd Life Guards or any other unit during the First World War? If you are, click on the photograph below to learn more about the research service I offer. 10 October 1914 – 6 German prisoners taken through en route for Bruges. Ordered to march at 12 midday to Beernem, which we did meeting a long column of Belgium infantry and artillery apparently in some disorder and to be coming from Antwerp. New orders arrived with the Brigadier at Beernem and we marched to billet at Roodevoorde but on arrival found it filled with Belgium troops, so marched to a chateau 1 mile north of the Bruges Ingelmunster road. Comment: Find the hospitable natives a great hindrance to discipline. The country seems very ill-suited for cavalry tactics, and recalls the more cultivated parts of the English Fens. I think that with few exceptions Reservists of more than 12 years service are useless, and frequently afford a bad example to younger men. Neither men nor young officers seem at first to realise the serious side of War, and men with experience of South African War seem rather harmful than otherwise. My Regiment consists of 13 different Cavalry Regiments, 180 of my own and 374 of 12 other Regiments. 16 October 1914: Marched at 7.30 am in a white fog as Advanced Guard to the Brigade through the very slippery streets of Ypres now full of French troops and scouted round West Rosebeke [Westrozebeke]. Ultimately halting there while O’Neill and his squadrons scouted towards Oostnieuwkerke. Lieut. Sir P. Brocklehurst and a patrol of 1st Life Guards reported a German Maxim about 2 miles out on the West Roosebeke-Hooglede road. About 4 pm O’Neill reported that a farm about 1 1/2 miles southwest of Oostnieuwkerke was strongly held by Germans, and that on approaching Lieutenant Sir Robin Duff had been killed. I then sent Belpher’s squadron to support O’Neill on the left and myself took my other squadron (Ashton’s) to strengthen O’Neill. I found the country quite flat but thickly dotted with cottages, farms and small woods. One being of considerable size. 5.30 pm I worked up towards the farm whence Duff had been killed, but found it in a clearing with no cover for 500 yards all round. We came under fire from 3 directions – front, left flank and rear, and as it was nearly dark I collected my squadrons and retired to West Roosebeke. There was considerable sniping from cottages and 1 cyclist was shot through the hand when catching up his squadron. Belpher claims to have killed 12 Germans and the man who shot Duff was also killed. The Regiment was left to billet on West Roosebeke, while the remainder of the Brigade went to Passchendaele – not a pleasant billet, and did not feel at all secure in such a big straggling village with so small a force. 17 October 1914: Ready to march at 5 am but remained in billets with many posts out all day and much firing very near. Constant Belgian and French patrols coming through. Visited by Commander Sampson RN and his train of guns including a 3″ gun used that day for the first time mounted on a railway truck with motor engine. He with 2 of my officers went and put a shell or two into the farm held yesterday by the Germans. I later reported all clear in and as far as Oostnieuwkerke. They found that the Germans had buried Duff and the man who was killed with him at the farm, but that the Burgomaster’s secretary had moved Duff into the cemetery at Oostnieuwkerke. German patrols rode into our wire barriers at night. 18 October 1914: Marched at 5 am towards Oostnieuwkerke with the Blues as Advanced Guard. They had some fighting with a small party of German cyclists and a few casualties, while they put 4 cyclists to the sword and 2 more were shot by two wounded corporals of horse with their revolvers. I took my regiment up to support them but needlessly. The town was reported clear and we ultimately billeted on 4 scattered towns southeast of the town.